Recognising the clashing civilisations, overturned norms, emerging trends – the Lights Camera Africa!!! Festival brings to its audiences a reflective presentation of films that it hopes will support a common contemplation on opportunities for a RESET of the weakening world order. There is a lot to look forward to at this years festival from presentation of film works, poetry, open discourse and a host of other entertaining events. 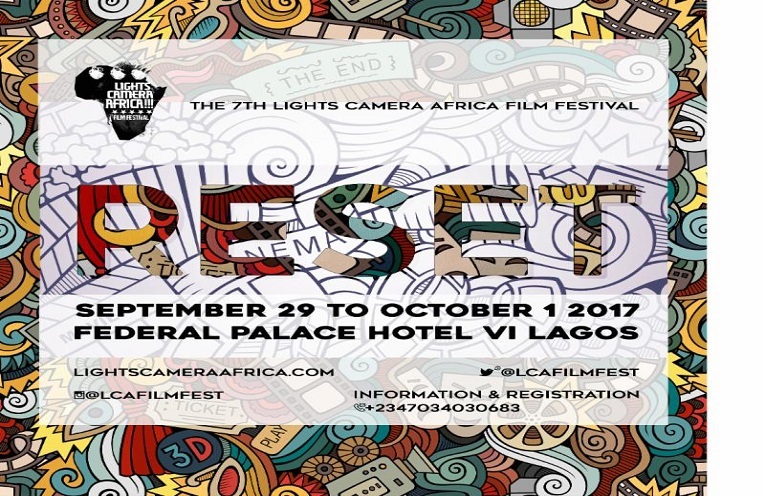 Lights Camera Africa Film Festival is billed to hold at the at Federal Palace Hotel, Victoria Island, Lagos from Friday, 29 September to Sunday, 1 October 2017. Visit their website here for registration and full programme for the three day event.